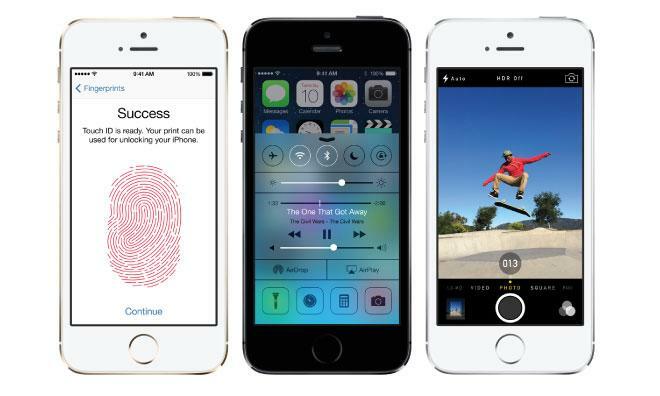 For iPhone, Apple hit 43.7 million iPhones worldwide, up from 37.4 million unit sales in the same period from 2013. The 6.3 million uptick represents growth of 17 percent year-over-year. "We're very proud of our quarterly results, especially our strong iPhone sales and record revenue from services," Apple CEO Tim Cook said in a statement. "We're eagerly looking forward to introducing more new products and services that only Apple could bring to market." Apple CFO Luca Maestri went over the specifics, noting that sales performance from the iPhone 5s, 5c and 4S were at all-time highs compared to their predecessors. Driving a large portion of iPhone growth were developing markets. In particular, more than 85 percent of iPhone 4S and 69 percent of iPhone 5c buyers were new to the platform. Maestri noted that China Mobile, the world's largest cellular carrier by subscribership, was especially helpful in the low end. Greater China sales of the iPhone 4S hit an all time high in quarter two as the halo iPhone 5s helped attract new customers. In Japan, Cook pointed out that iPhone now has a 55 percent marketshare. Both India and Vietnam, two burgeoning markets, doubled overall iPhone sales, while Brazil, Poland, Turkey and others saw double-digit growth year-over-year. Cook said BRIC countries (Brazil, Russia, India and China) clocked in with best-ever sales, illustrating the iPhone's growth potential in key developing regions. As for iPads, Cook still believes tablets will quickly replace PCs, noting unit sales were at the "high end" of its own guidance but lower than analyst expectations. Looking at the numbers, Apple sold 16.35 million iPads over the quarter, down substantially from 19.48 million in the year ago quarter. Maestri saw the decrease as a nominal change, which equates to a 3 percent decline due to channel inventory fluctuations. "iPad has been the fastest growing product in Apple's history," Cook said, noting over 200 million units have been sold in only three years. The growth is substantially greater than iPod and even the iPhone over the same time period. "It's important to put that into perspective, we've come a long way very quickly." Later in the call, Cook reiterated channel inventory guidance may be to blame for inflated Street expectations. Pointing out a 95 percent share of America's education tablet market, high user engagement and other growth factors, Cook said iPad is performing very well. "I'm very bullish on iPad," he said.